Black Science Year Two starts with a bang. Wait, no, that’s a lie, it starts with a recap page, followed by a flashback that finally explains how Grant survived and found the group again- which is a good, since there can definitely be such a thing as too much bang. Seriously, this comic is great, but it doesn’t usually take much in the way of a breather, so this relatively slower paced issue felt pretty good. Great art as always, and of course, this series is the best onion related cosmological metaphor ever. The new super team that’s popped up on this reminds me of nothing so much as that one episode of Futurama, if only because the team is largely based off 90s videogame puns, largely N64 oriented. I have absolutely no idea what their endgame is, though. That perhaps shouldn’t be surprising, since this comic makes little sense anyhow, which is the main reason I love it. There’s a giant mech tiger. Also, buy Phrutopia brand Mangoberry Phruit Phusion Cocktails! Grant Morrison’s newest comic takes an even more cynical turn this issue- I’m not going to spoil it, but it seriously raises the stakes. It also has a scene that I very much enjoyed- the introductions. Usually an ensemble cast comic will introduce the characters all at once, then you’ll probably forget most of them. Morrison doesn’t even bother to introduce the extras here, he just has Nameless (I should call him Kevin Costner) promptly forget all the names of the superfluous characters. The asteroid itself is pretty awesome- despite being slate gray stone, it’s shape is halfway between beryllium and sandstone, making for a vaguely weathered, geometric look, and that’s even before all of the alien markings and monolithic buildings. As for the cosmological backstory- having a planet between Mars and Jupiter that was destroyed 65 million years ago is pretty old hat for scifi, but it’s fairly new for comics, and not that critically overused for Lovecraftian stuff. The art remains good, but there are a few awkward facial expressions here and there. Two Jeff Lemire #1’s in one week. 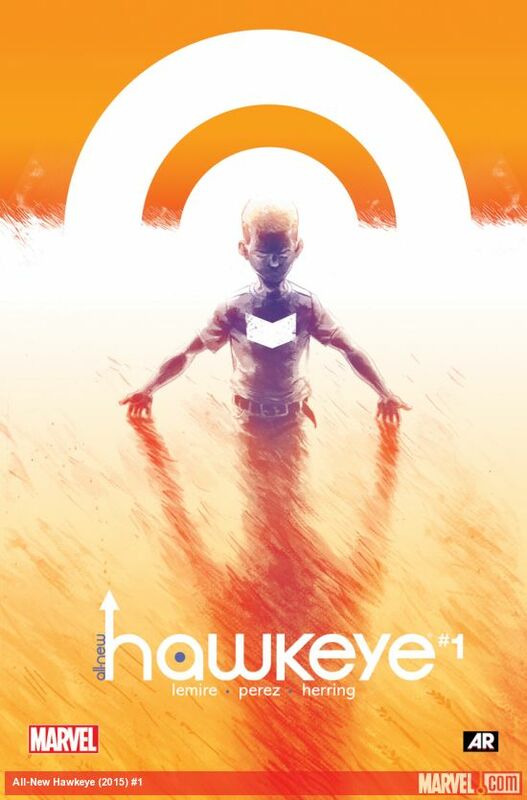 Hawkeye is a tough act to follow- while Aja’s and Fraction’s run is not yet complete, it only has one issue left to go. All-New Hawkeye definitely keeps much of the aesthetic of Hawkeye, but also goes in its own direction. The issue is split between Clint and Kate attacking a Hydra base, and Clint and Barney as kids. The flashback sections are done in watercolor, which contrasts sharply with the relatively flat, Hawkeye-esque (That’s going to get old quick) art for the present day action scenes. Overall, the comic seems to be a good follow-up to Fraction and Hawkeye’s run, drawing heavily from its tone without being derivative. With the steady weeding out of superhero comics in my pull, though, it’s yet to see if this stays in. GIANT SCIENCE TUBES! Literally dozens of them! YESSSS. Also Nazis, more robochimps, etc. 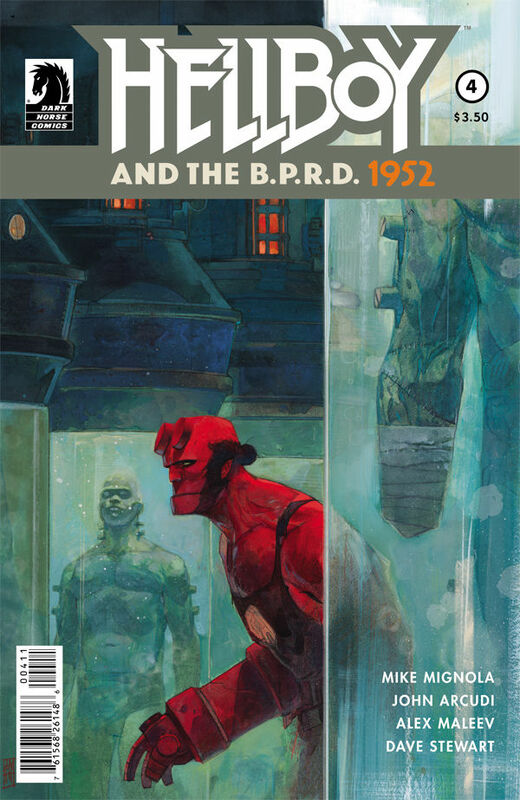 So it turns out that this entire story has been building towards Hellboy’s very first meeting with Von Klempt, one of the most frequently recurring Hellboy villains. Now things are actually starting to pick up.